Brutus’s mother was Caesar’s former mistress, Servilia. However, Brutus supported Pompey until the latter lost to Caesar on the battlefield in 48 BC, at which point Brutus switched sides. He promptly betrayed his ex-chief by providing Caesar intelligence about the likely whereabouts of Pompey, who had escaped after the battle. 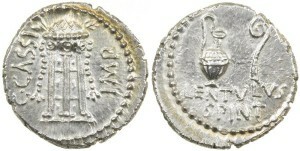 Afterwards, Caesar rewarded Brutus with high office. That this was a professional operation is even reflected in the killers’ choice of weapon. Caesar’s assassins attacked him with daggers and not, as is sometimes imagined, with swords. In particular, the killers used a military dagger (the pugio), which was becoming standard issue for legionaries. Military daggers were not only practical weapons but also honourable ones. 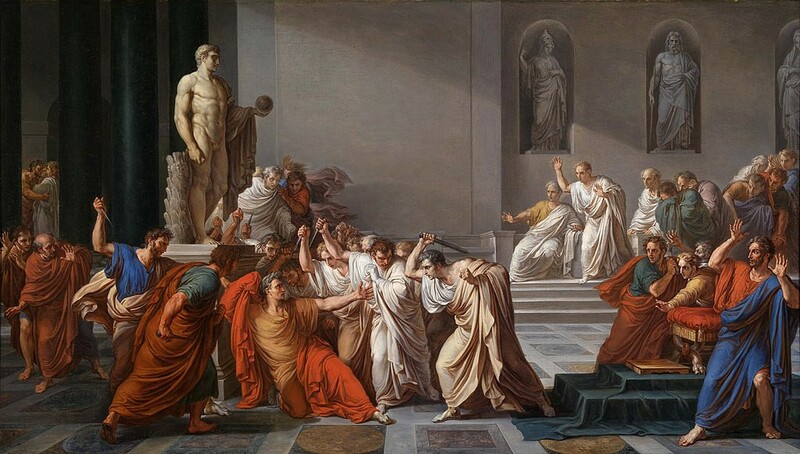 Caesar’s supporters later called the assassins common criminals and accused them of using sicae, a short, curved blade that had the negative connotation of a switchblade or flick knife. 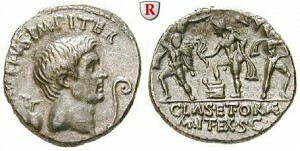 So, in 44 BC, Brutus issued a coin that celebrated the Ides of March with two military daggers. Again, he wanted to show that the assassins were no mere murderers.